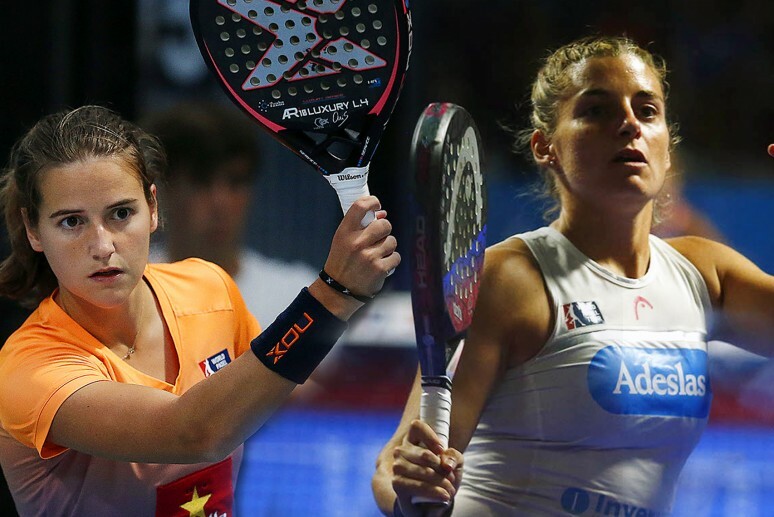 Comeback and first title for "Las Martas"
Two of the most talented players in the world will share the court next season on the World Padel Tour. Traditionally, there haven't been as many changes of pairing on the women's tour as the men's tour so the coming together of Alejandra Salazar and Ariana Sánchez has made a huge impact ahead of 2019. Sanchez-Salazar will be one of the pairings with most magic, creativity and imagination on the padel planet. Ariana Sánchez heads into this new project after ending a three year partnership on the World Padel Tour with Marta Ortega. In that time, the player from Reus has earned a place amongst the best players in the world. Imagination, talent and exquisite technique are the main weapons of this complete player. In 2017, she became the youngest player to ever win an Open, a feat she achieved alongside Marta Ortega. The Catalan hasn't added any titles to her name since then but in 2018 she did consolidate herself as the number 4 pairing. After almost four years with Marta Marrero, Alejandra Salazar has been one of the icons of the women's game in the last decade. During that time, she managed to reach the number one ranking in 2016 but a severe knee injury in 2017 sidelined her for almot the whole of last season. 2018 was the year of her return alongside Marrero and she went from strength to strength. In fact, the 6 titles that Salazar claimed in 2018 were one better than those claimed by Majo and Mapi Sánchez Alayeto. Alejandra now faces a new challenge with a young partner. She will have to bring her experience and personality, as well as her overwhelming talent.